Ice cream sandwiches are an all-time classic dessert. Really, what screams dessert more than creamy ice cream and chewy cookies? Not much! It’s an experience we hope for everyone to have. For many, it’s not possible because of the ingredients used. It’s important to us for families and friends to enjoy such classic treats together, so we launched an inclusive ice cream. Using naturally vegan ingredients that are allergy-friendly and gluten-free, we’ve been able to offer new options to include in dessert concoctions. Not even in our wildest dreams did we imagine all of the creative and delectable ways people could enjoy our plant-based ice cream. 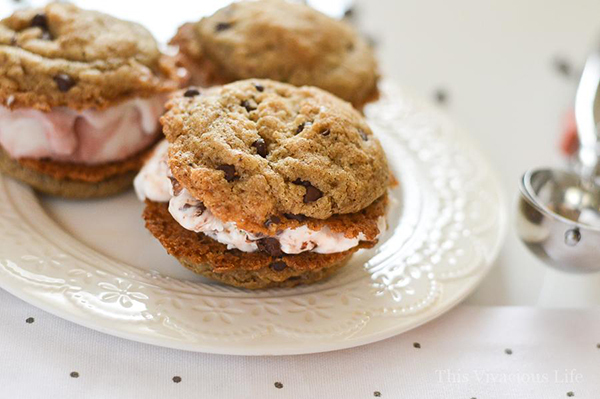 One new favorite pairs the classic ice cream and cookie combination to make gluten-free vegan chocolate chip cookie ice cream sandwiches! Each bite of these delicious vegan chocolate chip ice cream sandwiches really hit the spot. The talented This Vivacious Life crafted these heavenly desserts, so you know they’re 100% gluten-free and full of taste! 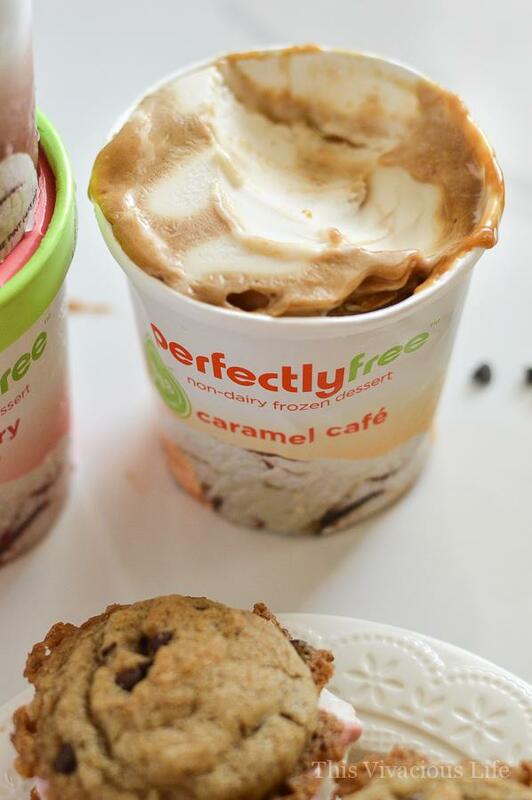 Nobody would guess that the Gluten-Free Vegan Ice Cream Sandwich Chocolate Chip Cookies Recipe made with perfectlyfree® non-dairy ice cream is allergy-friendly. It’s like the original… except even BETTER. Any one of our non-dairy ice cream flavors pair perfectly with a nice vegan chocolate chip cookie… let alone two of them! 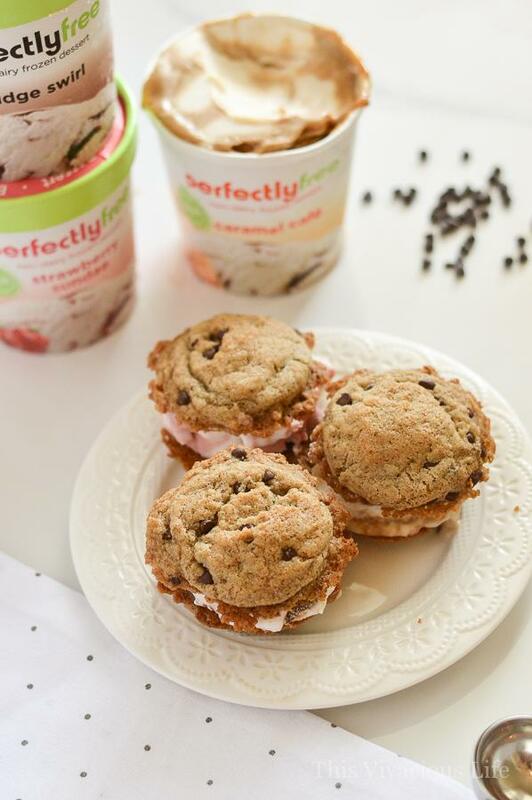 We love the idea shared to use your favorite flavor of our plant-based ice cream to make the ice cream sandwiches and other allergy-friendly ingredients to make them truly your own. These gluten-free vegan chocolate chip cookie ice cream sandwiches offer a wonderful way to enjoy a real classic treat.